Author Dave Lapham visits more than 30 legendary haunted places, all of which are open to the public—so you can test your own ghosthunting skills, if you dare. Join Dave as he visits each site, snooping around eerie rooms and dark corners, talking to people who swear to their paranormal experiences, and giving you a first-hand account. 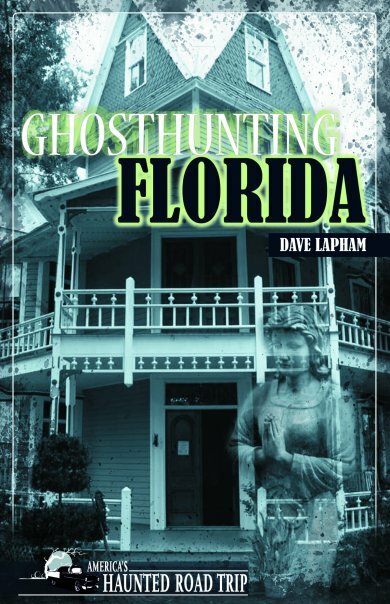 Enjoy Ghosthunting Florida from the safety of your armchair or hit the road, using the maps, “Haunted Places” travel guide with 50 more spooky sites and “Ghostly Resources.” Buckle up and get ready for the spookiest ride of your life. Available most everywhere including Clerisy Press, Amazon and other fine booksellers.